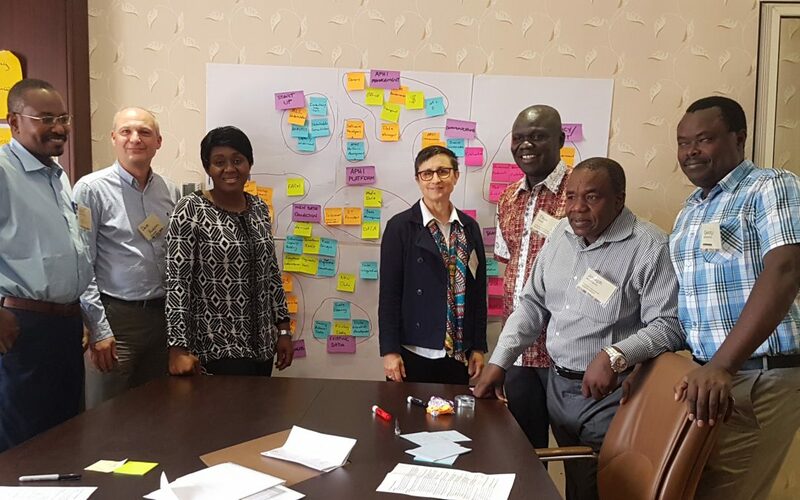 Angus and Cate have recently (January 2019) been invited to attend a project planning workshop in Addis Ababa, Ethiopia to support the development of a large-scale Gates Foundation (BMGF) project, the African Plant Health Initiative (APHI). The health of crops and their resilience to pest threats plays a major role in ensuring food security, good nutrition and secure livelihoods of small-holder farmers in Africa. The BMGF target their investments in 10 countries in Sub-Saharan Africa and APHI’s first phase will likely concentrate efforts in Ethiopia, Tanzania, Kenya, Uganda and Rwanda. The workshop was attended by about 30 key experts in plant health in Africa as well as specialists in surveillance, modeling, forecasting, knowledge management, and diagnostics. Together we wrestled to build in collaboration, refine project values, goals and vision, define strategies and envisage realistic outcomes. The workshop was a great opportunity to learn about other organisations, meet the champions in plant health and it was a brilliant opportunity to learn about some of the most recent innovations and achievements. There are a lot of people doing work in plant health and all of them are potential partners in APHI. Organisations and institutions represented at the meeting included; CAB International, Plantwise, Digital Green, CIMMYT (International Maize and Wheat Improvement Centre), Cambridge University, Penn State University, FAO, Google AI, Tanzania Agricultural Research Institute, and icipe, the International Centre of Insect Physiology and Ecology. There was a lot to learn and a lot of new issues to grapple with! So much great work is being done in many areas and APHI will be able to make a huge impact in the improved coordination of efforts, the communication of experience and knowledge and in filling the gaps which haven’t yet been met. Ausvet is really excited to have been asked to contribute to the planning phase of the APHI project and we are keeping our fingers crossed to be able to contribute in the longer term to APHI in the areas of surveillance, information management, and field-based data collection systems.